knew the truth… except me. love feels like. What happiness feels like. What hope feels like. I am numb. the only one that has ever made me feel. And I want to make him feel, too. Wow! Again Carian Cole has written an amazing story that takes your breath away. 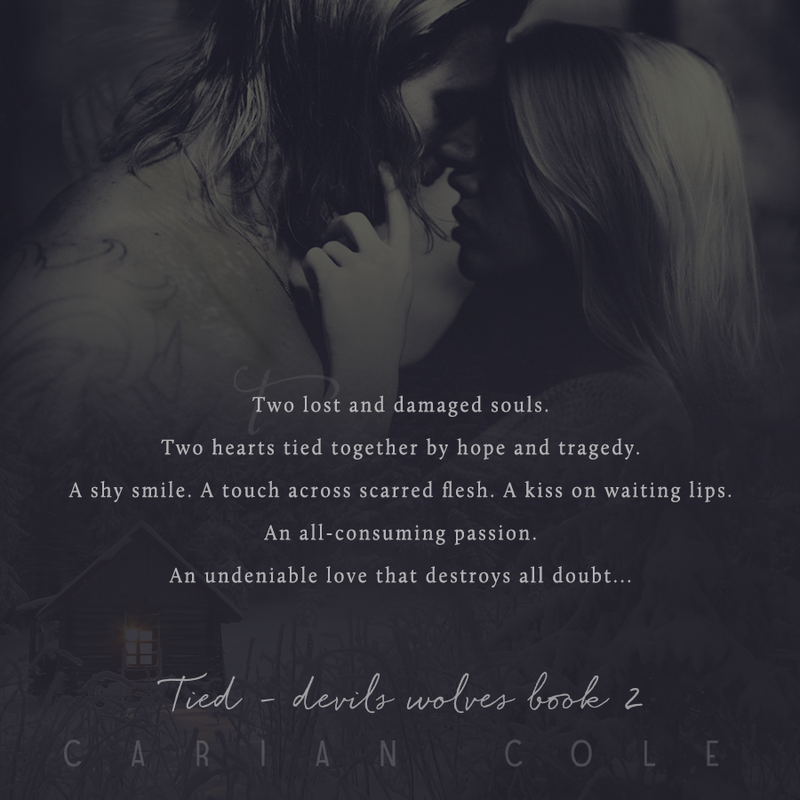 The story of Ty and Holly is about two scarred souls, their destinies entwined together long before they realize it. 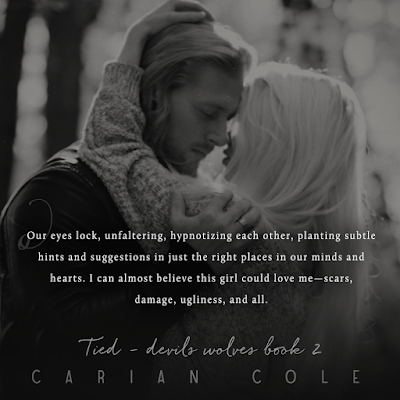 In the second book in the Devils Wolves – series Carian Cole gives voice to two people, who are shunned by the society; loud whispers and curious stares always following them. 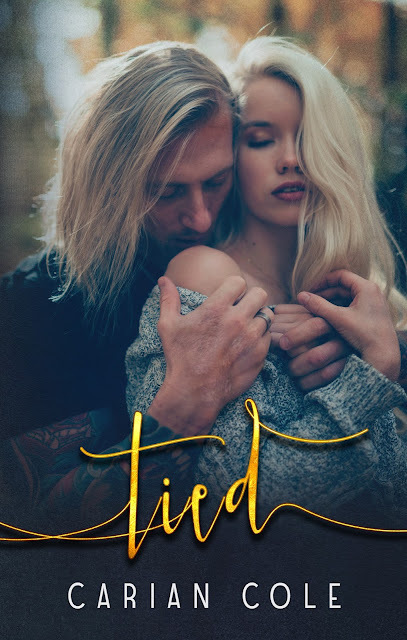 Tyler and Holly didn’t choose the paths life took them on, but they bear the scars and fight the battle every single day. Tied is about learning to live again, learning to trust another human being. 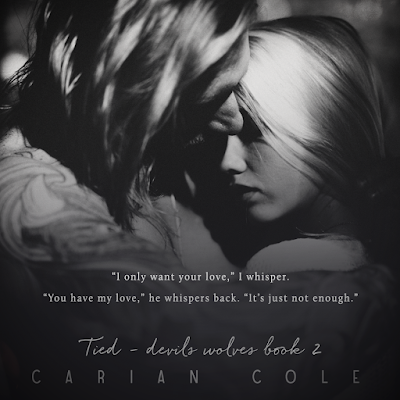 It is a beautifully written story of the human need to feel complete, safe and loved. The book has its dark moments, pitch black holes, but in the distance, there’s glimmering hope. Previous PostRiley Edwards: Unbroken pt.2 OUT NOW! The Collective episode 6! Next PostJeff Altabef: Fracture Point! New release!